Beastmaker 1000 е дъска за трениране от естествен материал с ергономичен дизайн и е предназнчена за онези, които са по-нови в катеренето и тренировките, но искат да прогресират бързо. This board is suitable for those climbing from 5a all the way to 7c or even further if you fancy taking on some one armed deadhangs. The dirty 45 degree slopers and monos which are apparent on the Beastmaker 2000 have been removed to make way for some jugs and more variation of the pocket depths. 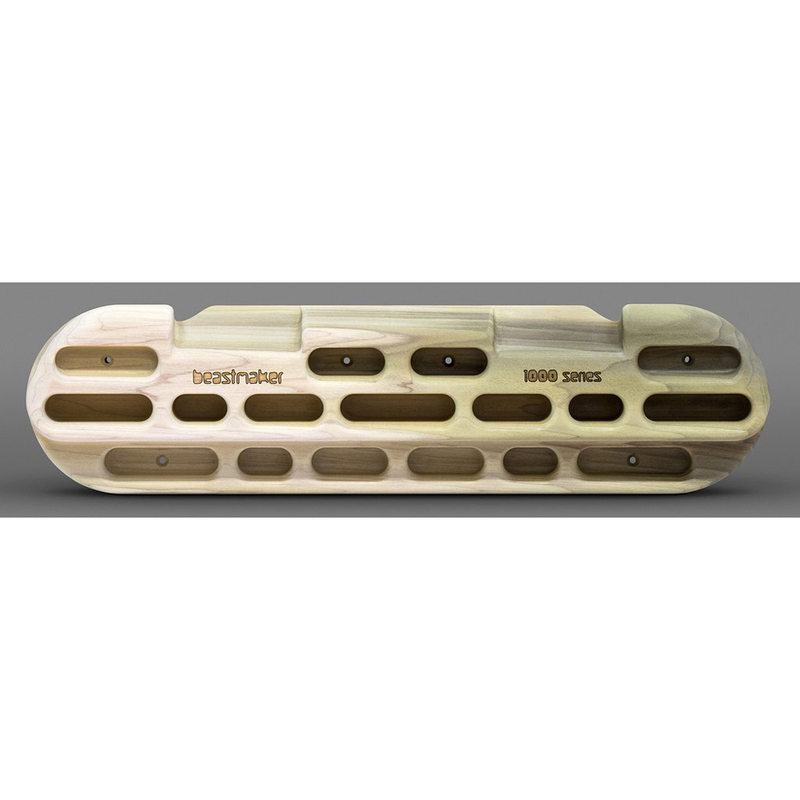 The Beastmaker 1000 is made from wood with a very fine texture which is very kind to your skin and the holds have been radiused to avoid tweaking any fingers.